By the 1960’s Lucille Ball was the undisputed queen of American television in a way that comediennes today, like Jennifer Aniston or Ellen DeGeneres can only dream of. I Love Lucy sent Ball and husband Desi Arnez to the top of the comedy ladder, with millions tuning in for each new installment of the revolutionary sitcom. However as the fifties rolled on the strains of maintaining a successful working and private relationship began to take its toll: I Love Lucy could not continue with a couple who simply did not love each other as they used to, and so they decided to call it a day. 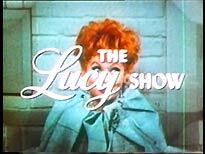 Lucy needed a new vehicle for her talent, and so The Lucy Show was created in 1962. 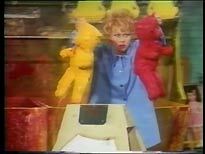 The show went through many different formats throughout its run, with children, employers and friends being acquired and dropped along the way. Classic Entertainment has recently released two volumes of the 1965-6 version of the show on DVD. Lucy and the Ring-a-Ding-Ding - Lucy’s stress-induced swollen fingers cause trouble when they get stuck inside Mr. Mooney’s wife’s anniversary present. Lucy Gets a Roommate - Lucy advertises for a roommate, but isn’t impressed with frumpy Carol (Carol Burnett). Introducing her to Lucy‘s musical friends soon sets her free. Lucy and Carol in Palm Springs - Carol convinces Lucy to accompany her band to Palm Springs. Unfortunately the pair don’t count on Mr. Mooney showing up as well. This episode features Rowan & Martin's Laugh-In's Dan Rowan. Of the two sets this is the weakest, with only Lucy and the Ring-a-Ding-Ding really counting as a classic. All are still enjoyable, if not perfect. Lucy and Pat Collins - Lucy convinces Mr. Mooney he must visit hypnotist Pat Collins to cure his insomnia. Lucy and the Monkey - Believing herself to be suffering from a nervous breakdown Lucy mistakes a real life gorilla for her boss, Mr. Mooney. Facing her fear of this ‘hallucination’ she treats the monkey as if he were her boss. This episode is sometimes known as Mooney The Monkey. 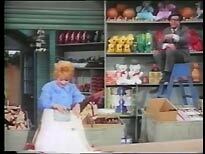 Lucy and Phil Silvers - The new company efficiency expert, Mr Kasten (Silvers of Bilko fame) employs Lucy as his new secretary. On one trip to a toy factory, Mr Kasten’s streamlining does not exactly go to plan. Lucy, the Baby Sitter - To make some extra money Lucy takes a babysitting job. Things get a little hectic when the children turn out to be little monkeys…literally. This set contains much stronger examples of Lucy’s comic ability. The Phil Silvers episode in particular is just as good as any of her earlier work. Only Lucy, the Babysitter stands out as being weaker than the rest. Each installment can be selected from a single static menu. Each episode has three chapters. The image quality is variable. This is partly to do with the fact that The Lucy Show is now in the Public Domain. Prints used for the many home video releases come from various sources. One of the first things to notice is that these prints seem to have replaced titles, and may come from syndicated versions of the series. This may also mean that cuts have been made to the episodes. As I have never seen them in other formats I can not judge. Film dirt is also noticeable but not distracting. The only episode that becomes virtually unwatchable at times in Lucy, the Baby Sitter which is very bright and high-contrast at times, with faces in particular being bleached out (as can be seen in the first image in the strip above). All the episodes have been cheaply converted from NTSC masters, and exhibit characteristic interpolation problems. Colours have a distinct NTSC-skew to them, and are often smeary. On the whole, though, given the price of these discs, the quality is perfectly reasonable. The average bit rate for both episodes is around 5.5Mb/s which is quite reasonable. There are no noticeable compression artefacts. Audio is mono and very clear at all times. 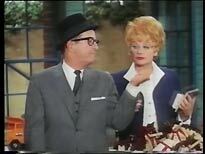 The Lucy Show, while not as funny or as charming as I Love Lucy, is still very entertaining and funny. It is also wonderful to see Lucy in colour as opposed to her early, better-known performances. There are numerous Lucy Show discs available, here and, of course, in the US. These disks are available in pound shops around the country, and provide a great introduction to the series at minimal cost. NOTE: Catalogue numbers for these Classic Entertainment discs, for identification purposes, are: CE 059 and CE 060.